Bound and wounded, Cinta’s eyes spoke of trauma, terror and distress as she lay in her cage in the early hours of the morning with a swollen face, deep scars on her paws and her front legs tied behind her. Her face was distorted in pain. 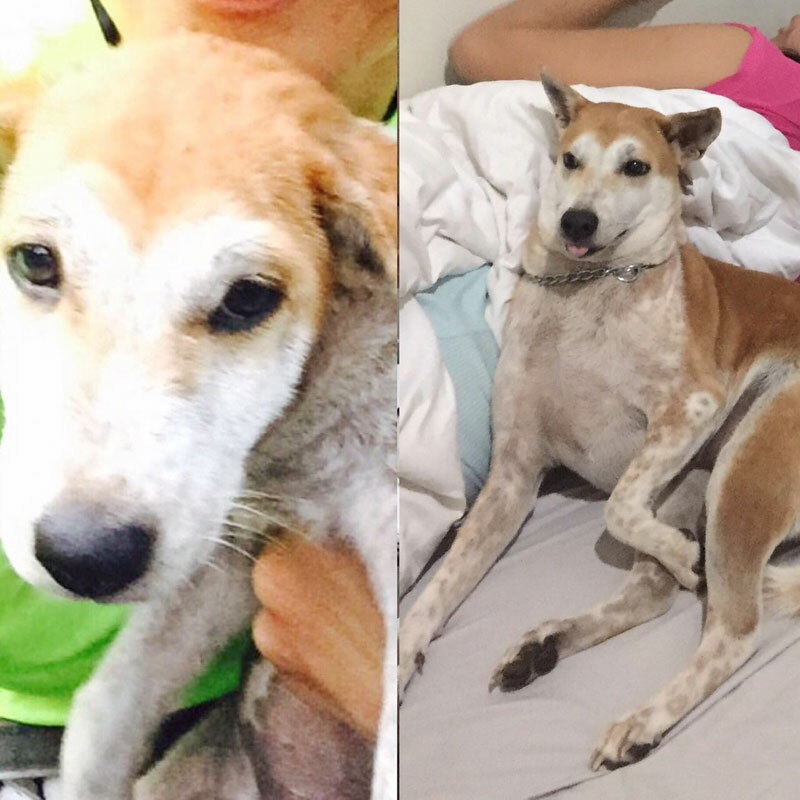 She was minutes away from the butcher’s knife at a retail dog meat operator in Kerobokan, Bali, before she was rescued in the nick of time, together with her comrade Lucky. Cinta is a three-year-old Bali dog (a unique breed found only in Bali), one of the 150 dogs that Bali Animal Welfare Association (BAWA) has rescued from the dog meat trade in Bali since the organisation was founded in 2007. 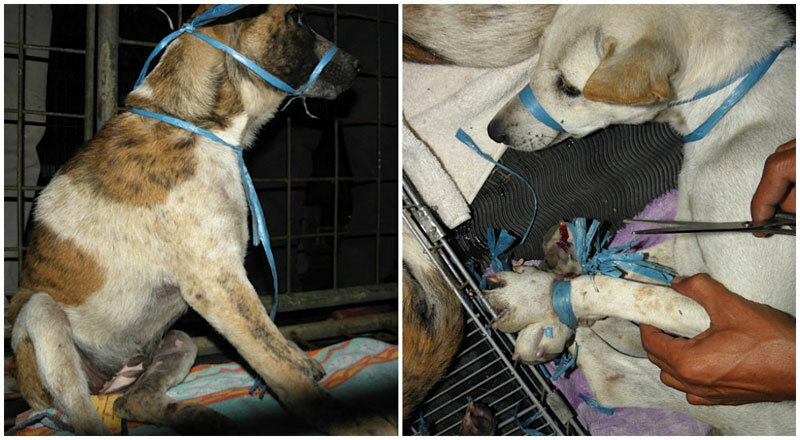 Nearly 200 dogs a day are currently being slaughtered and consumed in Bali, BAWA estimates. That’s around 70,000 a year. No official data on dog meat consumption has been collected by the Indonesian government, as dogs are not classified as livestock. Hence, the slaughter, distribution, sale and consumption of dog meat has not been regulated. 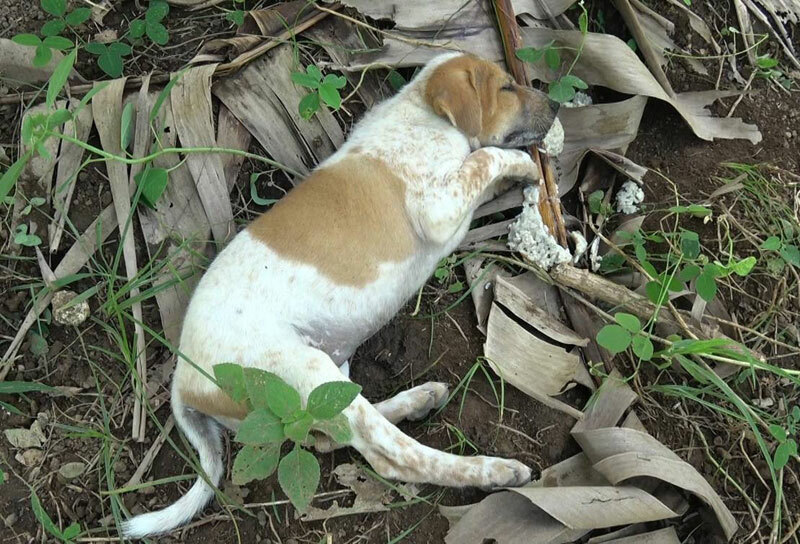 Regional attention was drawn to the dog meat trade in Bali after an exposure by Animals Australia (AA) showed dogs being stolen, beaten, poisoned and killed in June 2017. 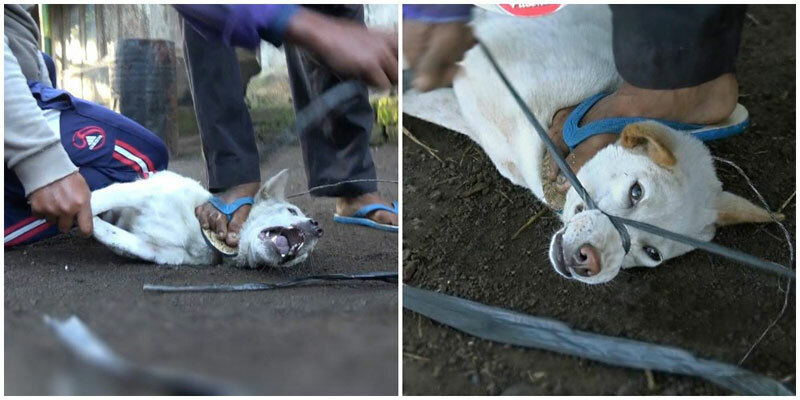 An undercover investigator under AA had infiltrated the dog trade in Bali over a period of four months under the guise of a documentary maker, and had filmed down the cruel process of how dogs were tortured before slaughter. Like these dogs, Cinta’s swollen head was suspected to be the result of being hung, likely from a tree, to increase adrenaline flow. Perpetrators of the dog meat trade believe that torturing a dog before slaughter would improve the quality of its meat. Locals interviewed by Australian media say that they believe eating dog meat is good for health and warms and strengthens the body. A roadside dog satay was observed to draw a local crowd. These stalls often have ‘RW’ indicated on their signboards, a short form of the North Sulawesi term ‘rintek wuuk’, which means ‘soft fur’. BAWA estimates that each of these warungs sells an average of two dogs a day, and more are sold privately for consumption at parties and other events. Dogs are sold for around Rp.20,000 (USD1.50) to Rp.250,000 (USD 19) each, and are hence seen as an inexpensive form of protein among the locals. According to AA, the practice of consuming dog meat is not a long-held Balinese tradition, but was brought to the island by minorities who came to work in the hospitality industry in the 1970s. Along the beaches in South Bali, unsuspecting tourists may also unknowingly purchase dog sate, as sellers may simply pass them off as chicken sate in a bid to make profits. Have you seen or experienced dog sate before? Or any dog bounded for slaughter? Please call BAWA’s hotline immediately at 081-138-9004 (24 hours) or 081-2384-0133. You can also email [email protected] or [email protected]. Take a stand against animal abuse by supporting and sharing the work of Animals Australia. 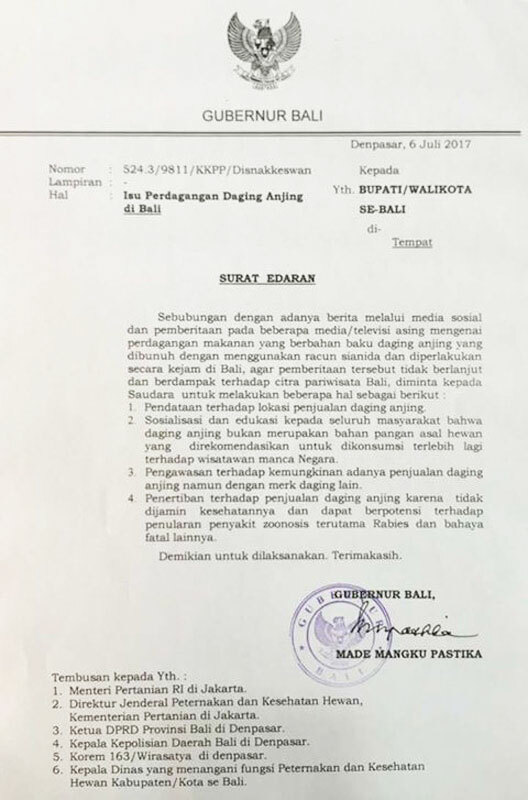 In July 2017, a month after the shocking exposé by AA, Bali governor I Made Mangku Pastika issued a letter to the Indonesian government, acknowledging the dog meat trade for the first time. The existence of this underground trade had been met with denial by the authorities, despite years of campaigning by animal welfare groups. In his letter, the governor wrote that the dog meat trade has a negative impact on tourism on the island, and called for government agencies to ban the sale of dog meat as it could perpetrate fatal health threats such as rabies. He also called for greater collection of data on the trade and asked to educate people that dog meat is not for regular consumption. In fact, handling and consuming dog meat pose serious threats to human health, such as the risk of cholera, trichinosis, rabies (from handling uncooked nerve tissues, saliva and brains of an infected dog) and other illnesses. Until now, Indonesia’s animal protections laws are not well enforced and open to interpretation. And dog rescues are mostly carried out by animal welfare groups such as BAWA, which currently has details of the operations of 89 warungs, an investigation that has been carried out since five years ago. ““Until there are clear guidelines and enforceable legislation, there is not much to prevent the cafes from replacing rescued dogs with others,” said BAWA Founder and CEO Janice Girardi. “However, if we rescue the dogs, the supply chain is interrupted. Business has been disrupted. And if people become aware of what is going on at a dog meat location, the operators often close down for fear of backlash. Some move on to other locations, of course. 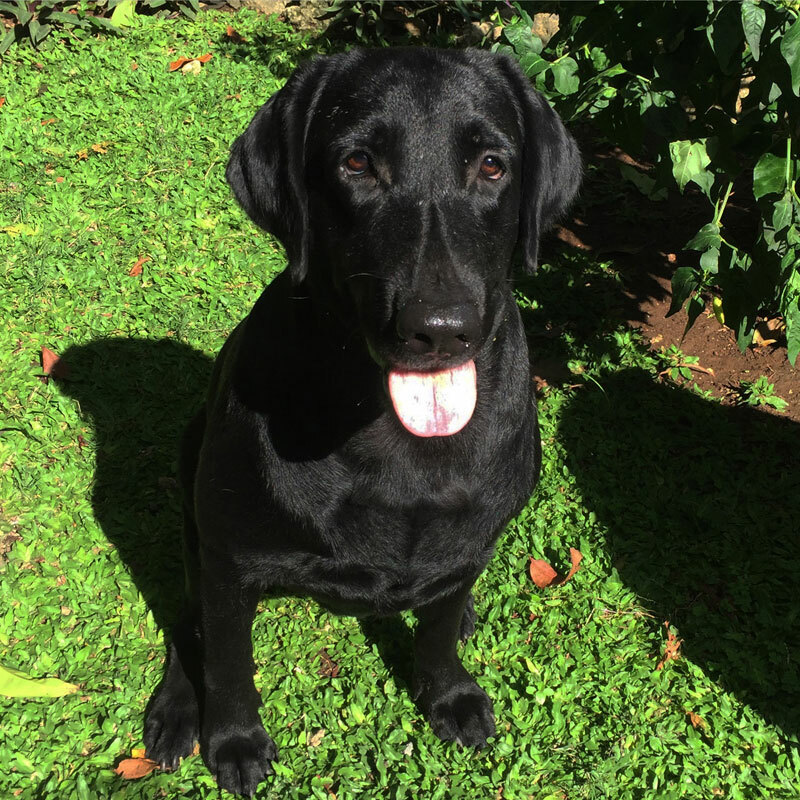 BAWA estimates that 50% of dogs are stolen from streets and homes and that most are healthy, pure Bali dogs. The animal group’s research shows that 69% of dogs are strangled, 13% are poisoned, and others are hung and beaten or shot. According to BAWA, demand for dog meat has not decreased, though supply has decreased due to reasons such as mass culling and transport of dogs to other states in Indonesia. Besides animal rescue, BAWA has been actively reaching out to the community through programmes in banjars (local legal community units) to encourage the locals to take responsibility for animal welfare in their communities. People no longer give or sell their dogs for dog meat in those communities. The treatment of dogs in the local communities do not simply end at consumption alone. 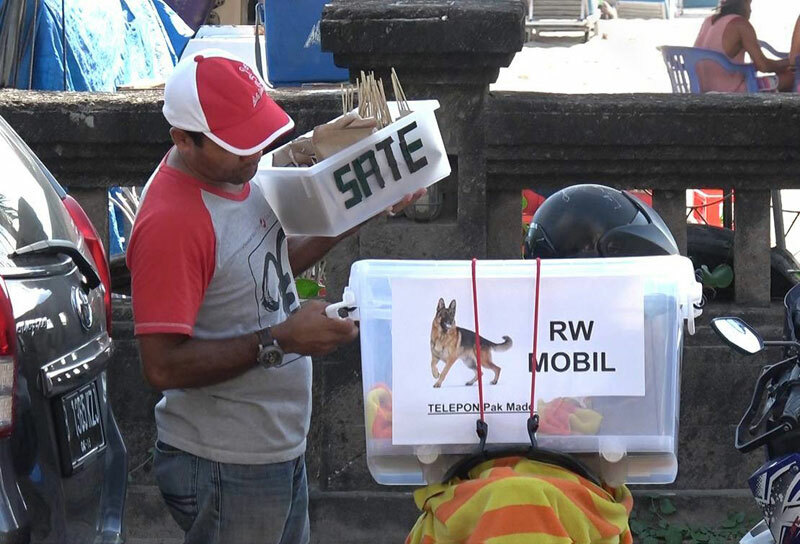 Although Balinese communities and dogs have always lived in harmony with one another (as villages have the tradition of keeping dogs to prevent intruders, and dogs prevent the spread of rats and pests by feeding on the trash and offerings in the streets), the breakout of rabies in 2008 caused the public to become more paranoid, and they started to be more aggressive towards dogs. 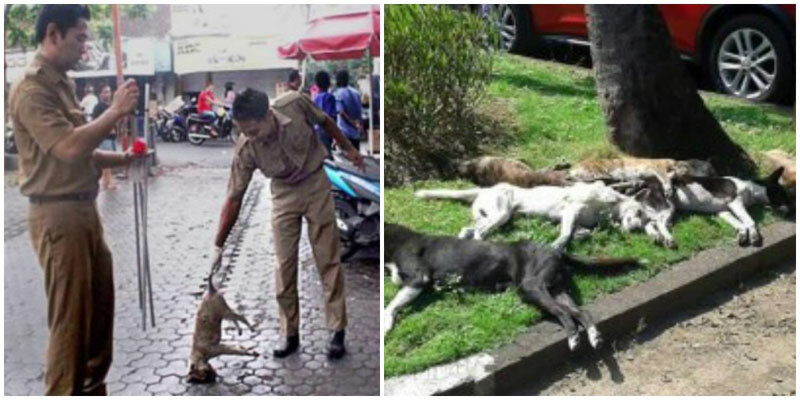 There was even a mass culling of dogs after the rabies scare, reducing the dog population in Bali from approximately 600,000 to 150,000. Strays are increasingly seen as diseased pests, and are often abused, beaten and kicked at by the locals. 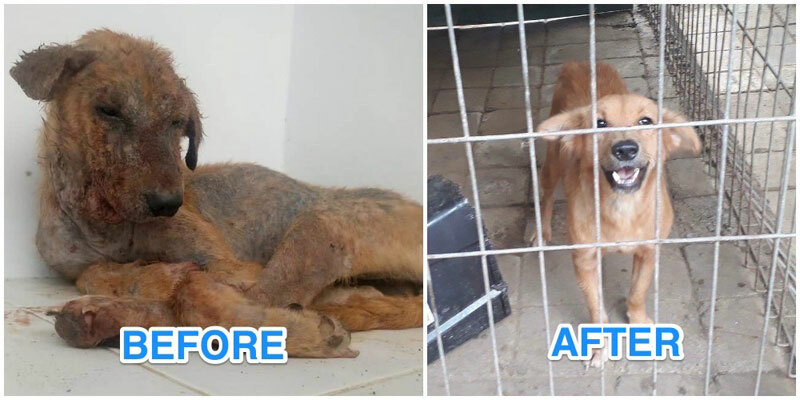 This was what Tina Tandun observed when she found Cinno, a street dog. Tina, an Indonesian who works in the hospitality industry in Bali, is an avid dog lover who works with her Indonesian friend Tio Russ, who founded a dog foster care organisation RUSS, to help care for and foster street dogs. Tina was driving along the streets during her birthday last year when she saw a man chasing after a dog in an attempt to beat it. She parked her car immediately and the dog ran towards her. Feeling a great sense of pity for him, she fed him and called for the vet ambulance. Cinno was diagnosed with liver problems, and due to his old age, he could not recover. He was taken in by RUSS and spent the rest of his life under Tio’s love and care, before passing away months later in December 2016. Nirmala, another stray that Tina found near the Nirmala supermarket in Jimbaran (and hence named her thus), was more fortunate. She was initially nearly hairless with very bad skin problems. “She looked so miserable!” said Tina, who brought her to the vet, where she received treatment for two weeks and is now happily cared for in RUSS. Give a lost dog a home. 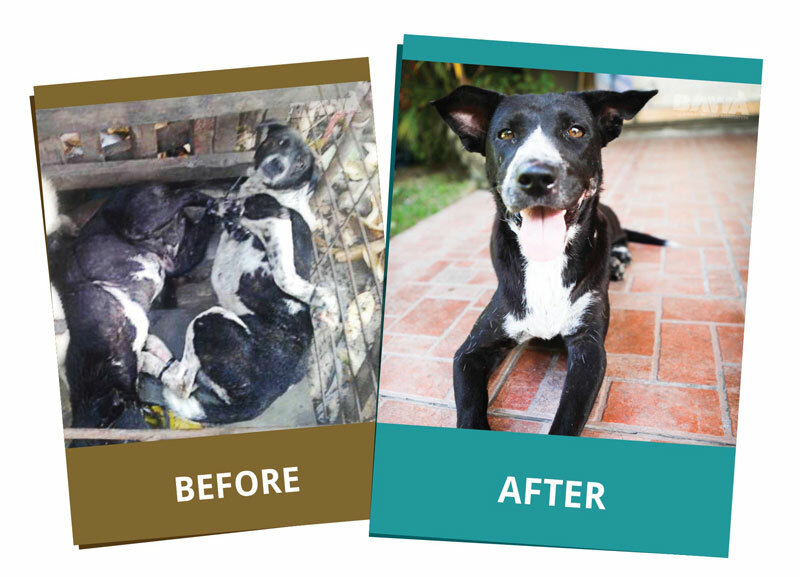 Message RUSS, a dog shelter in Bali, on Facebook to find out more! It is not easy to find adopters. 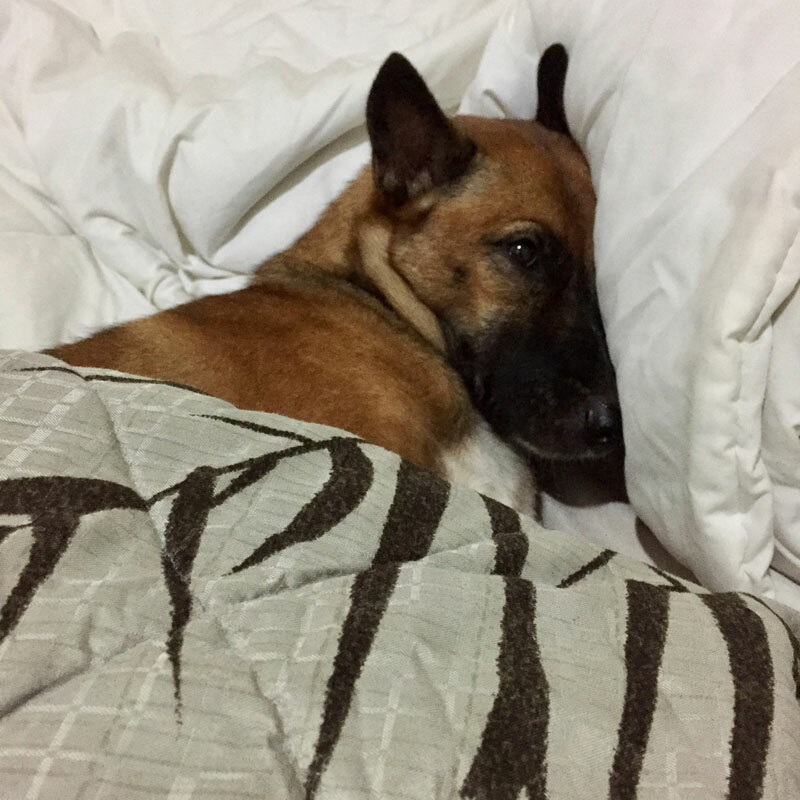 The Bali dog is often looked upon as stray dogs, and there’s a preference for people to adopt those of foreign breed rather than the local breed, Tina explained. She has five dogs living with her – her Golden Retriever, a Bali stray and the stray’s daughter and two grandsons. Another dog lover who takes in strays on her own, Tressabel Beatrik Hutasoit, agrees. 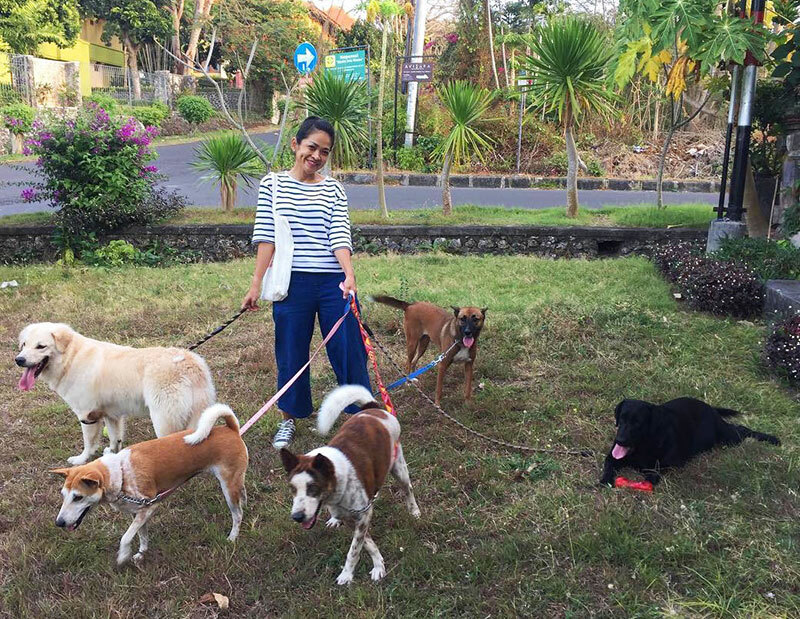 An Indonesian who also works in the hospitality industry, Tressabel has tried to educate her neighbours and people she knows who own dogs that having a dog is a lifetime responsibility, but found it difficult to change their mindsets and attitudes towards the local dogs. 7. Your dogs can sniff out the right partner! 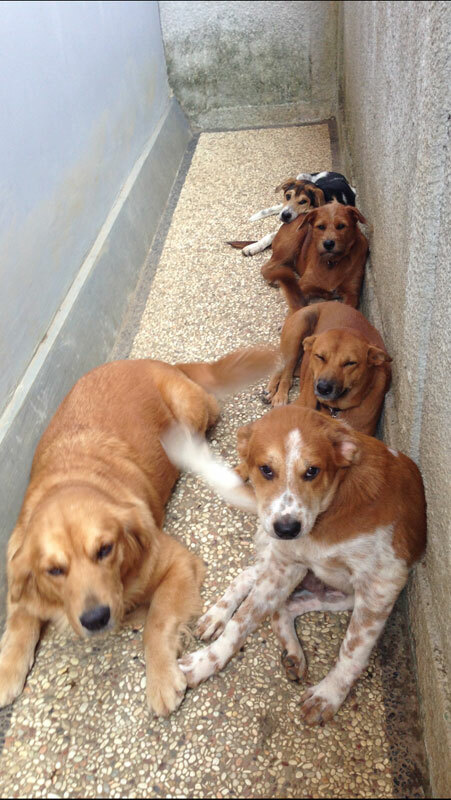 Tressabel has taken in five dogs from the streets. One of them, Marilyn, has genetic epilepsy and needs constant care and medication. “Her seizures come and go, and no matter how trained I am to take care of her during an episode, they are always heart wrenching moments,” Tressabel told us. Her other adoptees, Zorro and Monkey-Girl, were left starving in the streets with matted skin, worms, and ticks. Butter was malnourished and was later discovered to suffer from hip dysplasia (a disease of the hip in which the ball and socket joint is malformed, so the ball and its socket don’t properly meet one another, resulting in a joint that rubs and grinds instead of sliding smoothly). In fact, Mahoni’s instincts have proven to be trustworthy when it comes to men! Tressabel shared: “I was dating this guy for two years and no matter how hard he tried to make Mahoni like her, it just did not work. She hated him. The relationship went south as I found out that he was… well, not even half the man he was pretending to be. A fraud. Isn’t Tressabel’s story inspiring? Have you personally encountered dogs who need help? You can take in and care for stray dogs of your own too. Contact RUSS, a shelter for dogs in Bali, to find out more! Besides RUSS, Tina and Tressabel, many non-profit organisations and communities are actively involved in feeding and fostering street dogs in Bali. 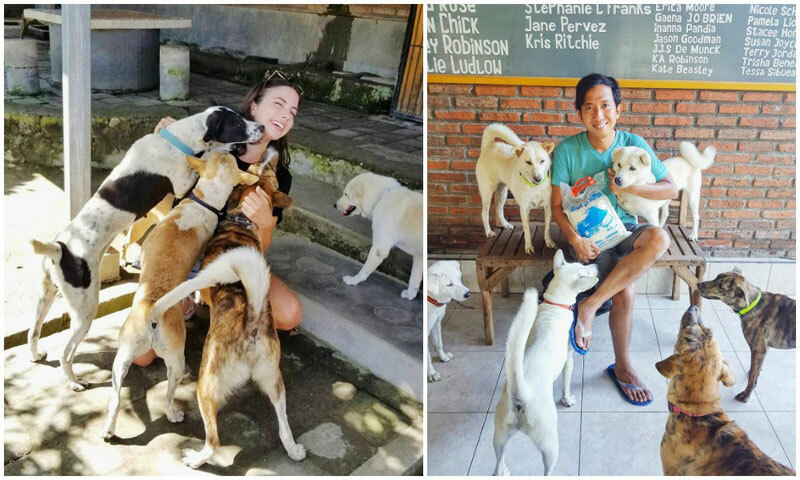 The Bali Dog Halfway House (TBDHH) is one of them, founded by Mariza Saraswati, another Indonesian, and five friends from Australia, US, Europe and other countries. All of them are living in Bali. On average, they rescue 15 to 20 new dogs each month from the streets and currently have 150 dogs altogether under their care. One of them even has 45 dogs in her home! Marizo, who works in a digital agency company, tries her best to find fosters or adopters for the dogs she rescues, but only manages to do so for 50% of the dogs. She also actively shares dog rescue information on her own Facebook page, Let’s Save Bali Dogs, to raise awareness of Bali’s street dogs. 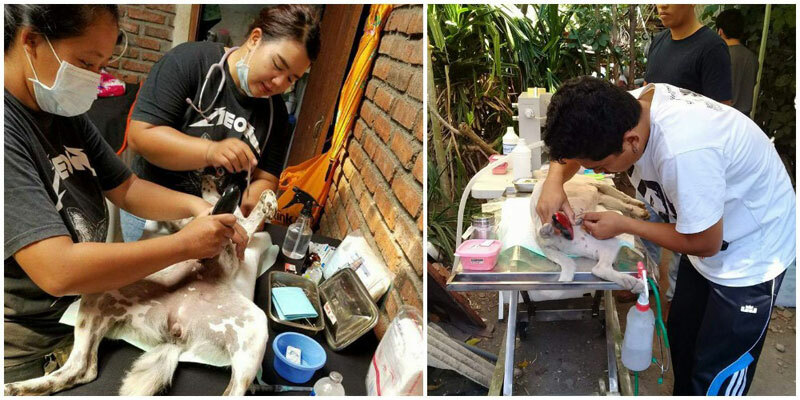 TBDHH also works with another non-profit team, Bali Pet Crusaders, which provides affordable and free sterilisation for dogs and cats that are homeless, rescued or belong to the poor who are unable to afford the fees. 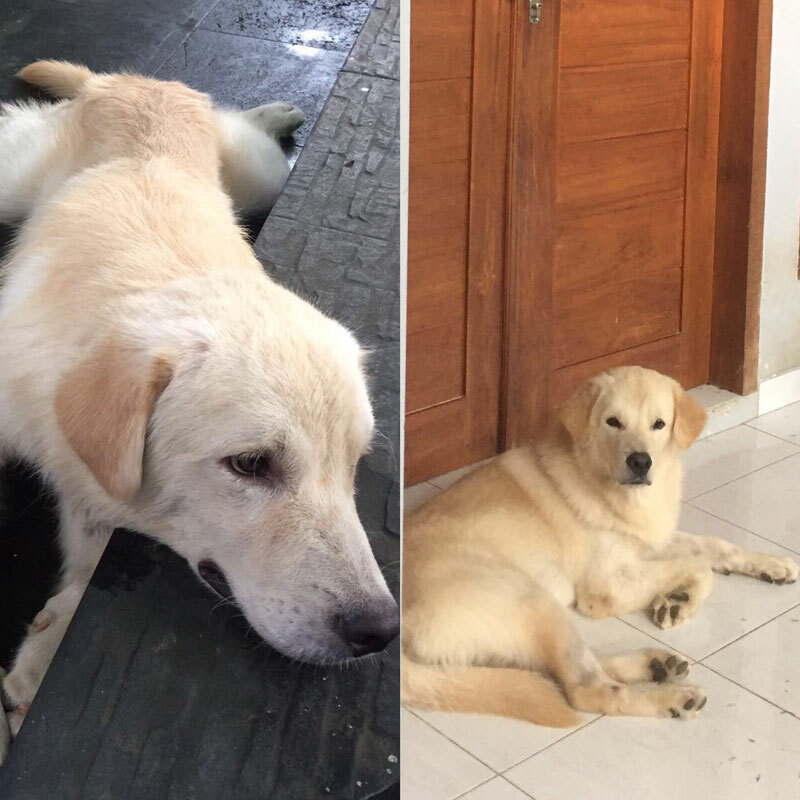 One common challenge that many of these animal welfare groups and activists face is educating locals on treating animals, especially Bali’s dogs, with love and dignity, and that dog ownership should be a commitment that lasts as long as the dog lives. Correcting misconceptions about dogs takes time, and requires constant effort by groups on the ground. Sometimes, it is even easier for dogs to forgive than for people to change. 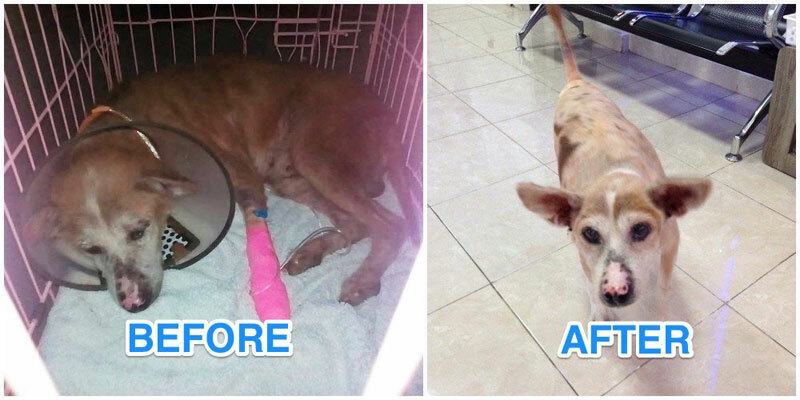 Having recovered from her trauma, Cinta (which means “love”) lives up to her name. Currently housed at BAWA while awaiting adoption, she has since overcome her fear of people and greets everyone happily with love. Only her physical scars remain to tell her story. 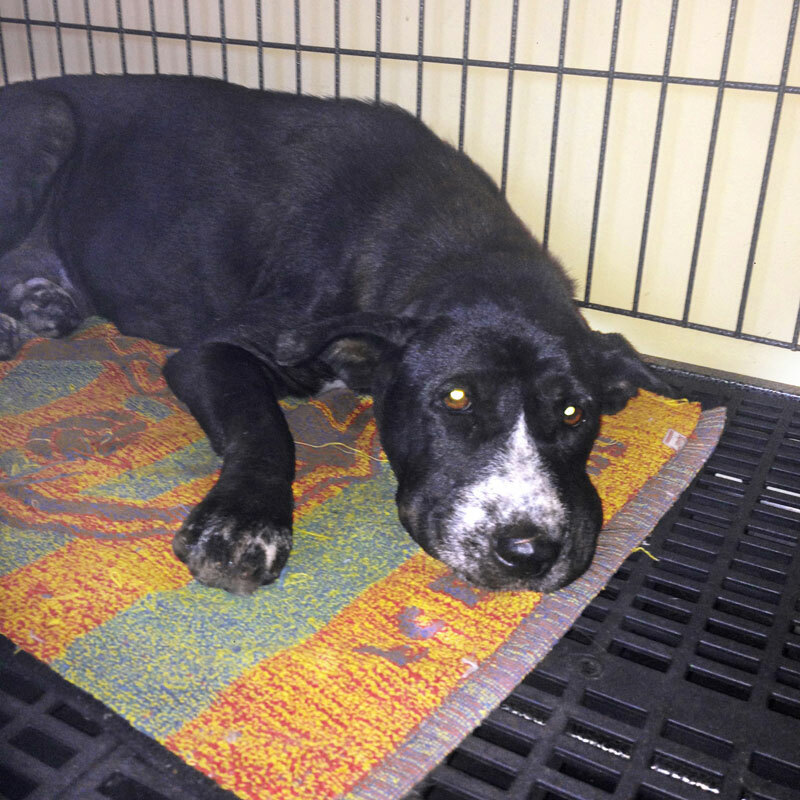 Here’s how you can help the dogs in Bali! a. If you see any dog suffering under the dog meat trade, please call BAWA’s hotline immediately at 081-138-9004 (24 hours) or 081-2384-0133. You can also email [email protected] or [email protected]. c. Treat dogs (even street dogs) with respect, love and care!